Apache Beam (https://beam.apache.org/) is an open-source project for writing big-data pipelines. In the first part of this talk, I’ll describe Beam from a non-technical perspective – what it is, why you would use it, how it compares to other technologies in the big data space. In the second half of the talk I will go into a high-level overview of the technical aspects of Beam. In particular, its heart is a programming model that unifies both batch and stream processing, allowing the programmer to separate the what, where, when, and how of processing. What actual processing is performed on the data. Where in event time is that processing done – how are event times windowed. When in processing time to materialise results. How are updates of results (due e.g. to late data) combined. Beam also provides several language-specific SDKs that instantiate the model for particular languages. Currently Java and Python are available and Go is under development. Beam also provides a portability framework that allows pipelines to be run on a variety of execution technologies. Beam itself provides a reference runner. There are also efforts to develop runners based on Apache Flink and Apache Spark. Google provides a commercial managed runner on its Google Cloud. Beam builds on the work of Map Reduce, Hadoop, Flume, Spark, and Flink. Neal Glew is a software engineer in the Flume project at Google, where he mostly works on the shuffle system. He previously worked at Intel on parallel programming models within Intel Labs. He has a PhD in computer science from Cornell University and a BSc(hons) in computer science from Victoria University of Wellington. There’s so much going on in the world of data that it can be hard to keep up with what’s happening in your own speciality area let alone make connections to others who might have complementary skills or interests. This Meetup is intended to make it easier to stay informed and to make those connections. Its focus is on what people working with data in Wellington-based public, private, non-profit, and academic organisations are doing, what challenges they’re experiencing and what they need help with. It welcomes members who spend their days capturing, storing, manipulating and analysing data as well as those who use data generated by others for decision- and policy-making. Rutherford house is the tall building between the Beehive, Railway Station, and Old Government Building; The Meetup will be in VicBooks Cafe, on the Bunny Street side of the ground floor. Over the last few years, I’ve been learning and asking questions about being employed in IT and how to get the most fulfillment from it. This has led me to seek out alternatives such as contracting, and associate or partner status in contrast to permanent employment. This presentation is a brief story about what I’ve learned, tips/tricks and my own journey from permanent to contracting to something else. I’m also going to talk about a movement underway which I don’t think we can ignore about the way we are engaged for our services of which Cloud and automation have been significant enablers. 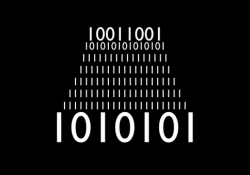 It’s about the transition of software as a commodity to software as a service and what it means to be a Software Efficiencer and whether this should be our next career move. The future of IT labour and should I go contracting? Meccano is a model construction system created in 1898. The system consists of reusable metal strips, plates, angle girders, wheels, axles and gears, and plastic parts that are connected together using nuts and bolts. It enables the building of working models and mechanical devices. 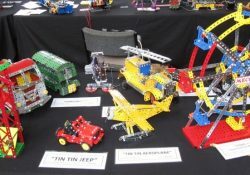 The New Zealand Federation of Meccano Modellers is a communication network to establish a magazine and to hold national meetings from time to time to enable modellers to show off their skills to fellow modellers and to be able to display to the public what MECCANO was / is all about. Registrations for exhibitors close 15 March 2019. The Convention Displays will probably be open to the public, dates and hours to be advised. An astronomer by training, Ian is currently Director of the Otago Museum in Dunedin. He has held senior roles in Museums, planetariums and cultural organisations in Europe, the USA and New Zealand. This year, our theme is ‘The Next Ten Years of Geospatial Data,’ with a special focus on better open data, smoother data supply chains, and simpler data collaboration. This theme dovetails with some of the work we’re doing here at Koordinates. Our platform is already a key resource for Aotearoa New Zealand’s data users. Our customers include some of the most successful data projects in the world, including the LINZ Data Service and the InternetNZ Broadband Map. Now, we’re expanding our product to solve some of the most intractable problems in geospatial data management, distribution, and collaboration. Come along for a lively discussion, detailed demonstration, and quick Q&A with the Koordinates team—and stick around afterwards for drinks and nibbles. Organised by Koordinates. Twitter @koordinates and facebook. Announcing the Koordinates 2019 Roadshow. Spot prizes to be won! Cash and Eftpos accepted at the venue (no credit cards, sorry). 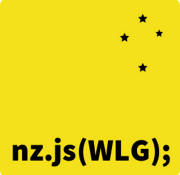 GDG Auckland are kicking off the year with an intro to Flutter! You’ve probably heard the hype about Google’s shiny new mobile development cross-platform toolkit. Come hear from Lance Johnstone, a software developer at Auror, about his experiences getting started with Flutter and how it compares to other cross-platform options. Join us for some beer and pizza after the talk to connect and start the year on a good note! Canterbury Astronomical Society and the University of Canterbury invite you to come and spend and evening with noted photographer Anthony Powell. Anthony has just spent his tenth winter over in Antarctica. He worked for many years as a telecommunications engineer before becoming a full-time filmmaker and photographer. He had to design and build a lot of his own camera equipment to withstand the harsh conditions of the deep Antarctic winters adn has made a number of highly acclaimed films of Antarctica. He made the international award-winning film “Antarctica: A Year on Ice” and has contributed footage to numerous films, TV shows, and exhibitions. These include National Geographic, Discovery, US Natural History Museum, and the Emmy Award winning BBC series Frozen Planet. Admission by ticket only – Tickets are free for this event. SuperDaughter Day (SDD) is coming to Auckland! Join us as we explore the exciting world of STEM through a range of activities. 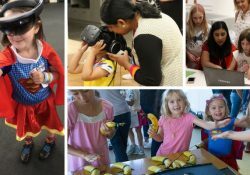 SuperDaughter Day is an annual International Women’s Day Event hosted by WORK180. Since 2016, over 3000 girls aged 5-12 years old became superheroes along with the parents, exploring the exciting world of STEM (science, technology, engineering, maths). Apart from participating in engaging workshops, the girls also have an opportunity to meet inspiring female role models, enjoy cupcakes and receive a goodie bag to take home. The event is held in capital cities in Australia and New Zealand. We are 100% not-for-profit.